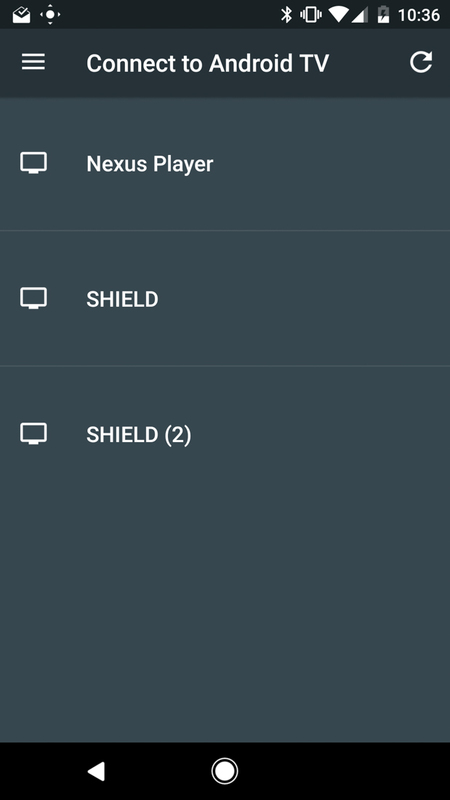 If you’ve ever used an Android TV-equipped box, like the new SHIELD, Nexus Player, or Mi Box, you have probably had to go through the painful process of logging in to all of your apps using an included control. Depending on the app, there is a chance that you had to type out an email, login, and password letter-by-letter using a d-pad, which I would argue with anyone is one of life’s most frustrating experiences. Thankfully, Google has a free option available to help you get through these steps in a much more efficient manner. 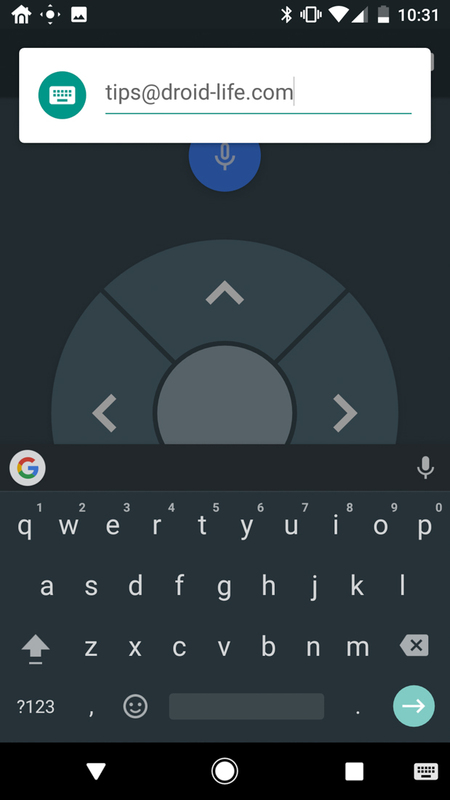 By using the Android TV Remote Control app, you can pop-up an input box from your phone to type out logins, passwords, etc. on your Android TV without having to use the remote that came with your box. Trust me, you’ll want to do this. 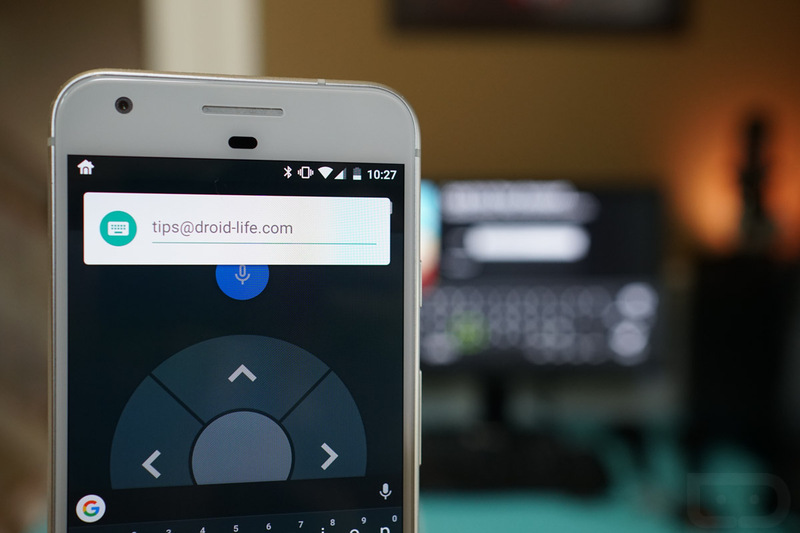 To get started, all you need to do is install the Android TV Remote Control app. My suggestion is that you do this before you ever power on your new box. Then, once you fire up the Android TV Box and the home screen loads, open the Remote Control and follow the steps to get it connected. You do that by letting the app search for nearby available devices, tapping on the box you need, and then potentially entering a code to confirm the pairing. That’s it. 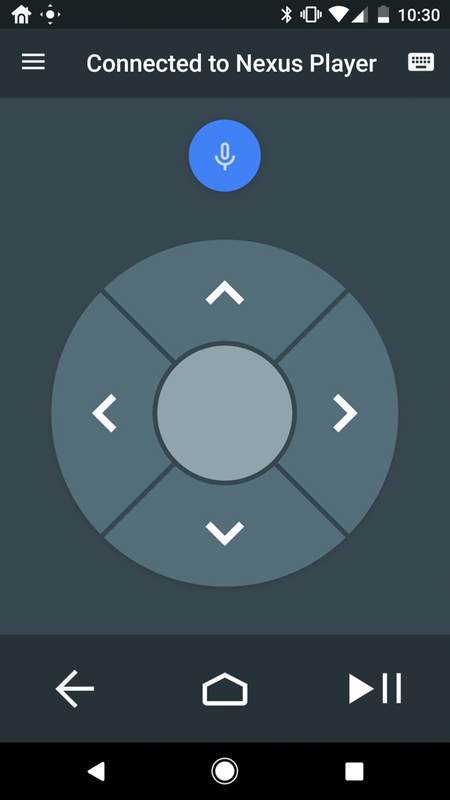 Once paired, you open the apps you need to login to, place the cursor in the text boxes for logins and passwords, and you should then see an input box arrive on the Android TV Remote Control app. If you don’t, you can always tap the keyboard button at the top right corner of the app to manually open an input box. From there, type out your logins and passwords from your phone in seconds and be on your way. I should point out that many apps now use a web login to make this process pretty simple, but there are still apps that require you to type out full logins and passwords. Now that we should all be using passwords that feature numbers, letters, upper and lower case characters, and symbols, typing these out with a d-pad is beyond frustrating. Should you stumble upon an app that requires any of this on your Android TV, install this app immediately.